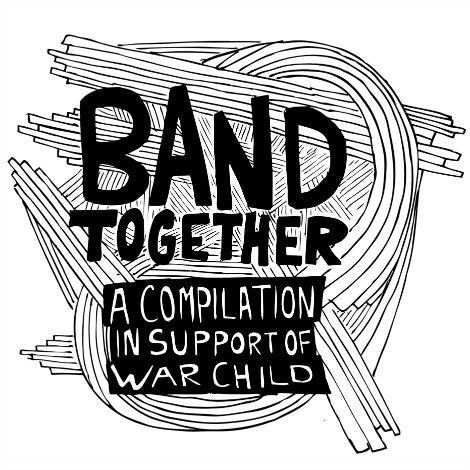 Band Together is a newly compiled album in support of War Child Canada featuring 22 originally recorded songs from artists across Canada (including Arkells, Ohbijou, and Rich Aucoin among others). The compilation is available via digital download exclusively from itunes, with 100% of the proceeds support of War Child Canada. Here’s the tracklisting. The project is the brainchild of Brendan McCarney, better known as the documentary filmmaker of Ages and Stages: the story of the meligrove band (NxNE Filmfest), who wanted to find a way to give something back. When he realized he had no money, he decided to call on his very talented network of friends and voila! Band Together was created. Buy the compilation here on iTunes. Or stream it below on Rdio.